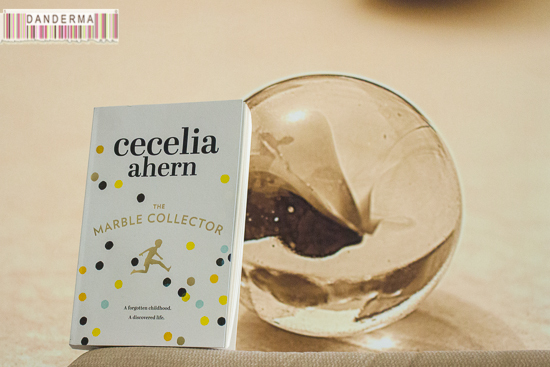 Whenever I want a palate-clenasing from all the disappointing or long boring reads I make sure I reach out for a Cecelia Ahern, I could always count on her for a wholesome and enjoyable read and her latest novel, The Marble Collector, didn’t disappoint me at all. It was an easy read, didn’t take a lot of effort to read or digest, and had enough intrigue between the pages to keep me flipping the pages at a quicker page than usual. The story is about Sabrina, a wife and a mother whose vague and distant father is recovering from a stroke in a care home while she tries to balance her life, job, and family. The story takes place during one day when several boxes of her father arrive mysteriously at the care home containing endless collections of really valuable marbles, and as she scans the inventory, puzzled at her father’s hidden hobby, she learns that the two most prizes collections of his are missing and as she embarks on a journey to recover them she also unfolds all the layers surrounding her father’s real personality and side of his life he never shared and in the process, she learns more and more about her self. At first I couldn’t understand the urgency behind Sabrina’s quest. Why does finding a couple of boxes of expensive marbles need to be tonight? Why not go home, relax, pick up the phone and ask around in a normal pace? Then, as you go with the flow and flick back and forth between Sabrina’s life and Fergus -her father- beginning, you understand and it makes you sad. How a person can live in the shadows of something he likes just because he is surrounded by the wrong people who wouldn’t understand him indulging in his beloved hobby. I was also baffled, there are plenty of F words in the pages of the story but how could it be, that a ten year old or younger child of the early century would know what Cool as F**** means and use it repeatedly to describe his older brother? The swearing part wasn’t my favourite, and I also miss the sprinkle of magic I usually find in Cecelia’s previous books, none of which were found in this one. In the very end, the last chapter, I cried my eyes out. Its a scene between Fergus, the marble collector, and Hamish, his older brother and idol. Reading it explains everything, and its so touching and sad it broke my heart. A great conclusion and a very befitting ending indeed.